Once a vulnerability becomes known to cybercriminals, the race is on for vendors to create a patch before it is exploited. And with the regular use of exploits in attacks and threats like the WannaCry ransomware using a vulnerability, getting the win has never been so crucial. This month we will cover the bug bounty marketplace, including the different types of markets available to vulnerability researchers. As well, we will review Trend Micro Research and how their research can benefit organizations through responsible disclosure and pre-disclosed filters to virtually patch vulnerabilities. As always, I will give you some ideas on how best to minimize your risk of becoming infected and best practices for you and your employees. Because when you can prepare for, withstand, and rapidly recover from threats, you’re free to go further and do more. That’s The Art of Cybersecurity. 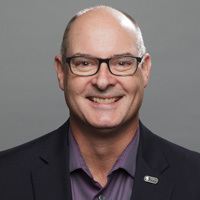 Jon Clay has worked in the cybersecurity space for over 22 years. He is responsible for managing marketing messages and external publication of all threat research and intelligence within Trend Micro as well as different core technologies. As an accomplished public speaker with hundreds of speaking sessions around the globe, Jon focuses on the threat landscape and the use of big data in protecting against today’s sophisticated threats. Read Jon's weekly blog, This Week in Security News, to stay up to date on the latest cybersecurity news and events.